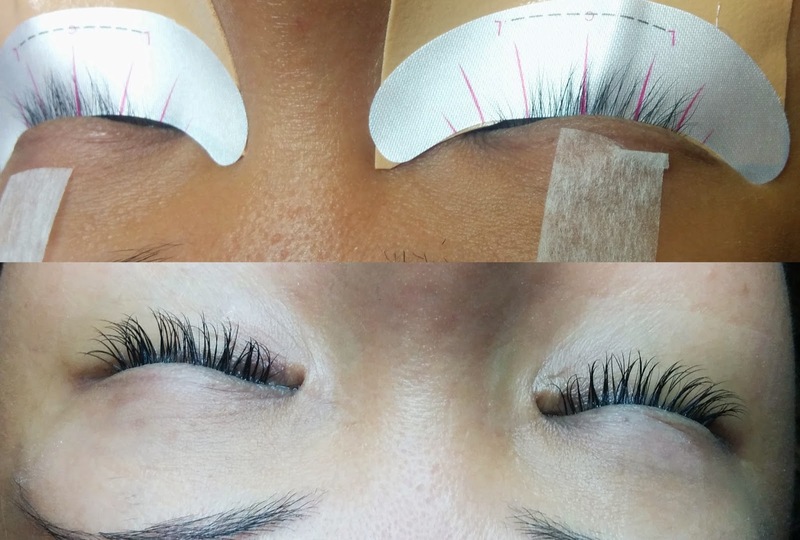 I recently had the opportunity to try lash extensions for the first time. Spa Week is coming up soon April 13th-19th so this is your chance to book $50 appointments at your local salon/spa. $50 for lash extensions, yes please! Check out my review of your spa experience at MLP Beauty Studio. I had a variety of treatments to choose from at MLP Beauty Studio: Lunch-time Face Lift with Microcurrent, Full Set Lash Extensions or Package of Five Ultrasonic Lipo-Cavitation Treatments for Body Slimming. The other treatments seemed super interesting but I've just always wanted to try lash extensions. The appointment was 2 hours long and I was told to arrive with no eye makeup on. I found that the studio was in a familiar part of town that I used to frequent all the time. It's located in a group salon space and Kecia has her own small room for her lash and facial services. 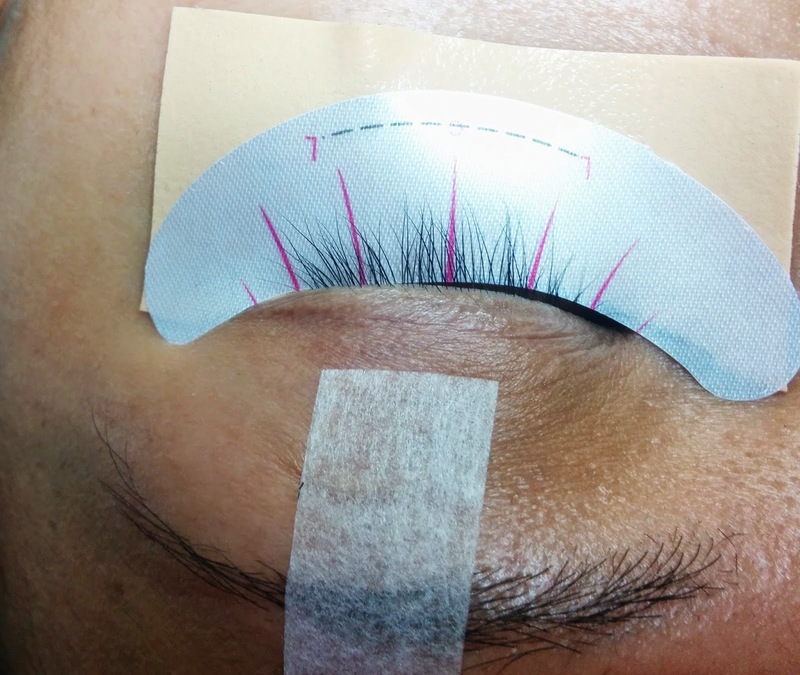 She began by having me sign a waiver and then I lied down and she proceeded to tape down my bottom lashes and prep me for the process. Kecia was super friendly and we had a lot to chat about with us both being in the beauty industry. We both agreed that skincare is super important and she has a passion for working with women of color on improving their skin. If you've got great skin and lashes, you are set! At some points, I did dose off, lol. The process took 2 hours because she literally attached a tiny single lash extension to each of my regular lashes. I did experience a teeny amount of stinging from the glue but that was very minimal. I've experienced worse when getting lash glue in my eyes when applying regular strip falsies. She warned me that the adhesive was pretty strong and I was glad because I don't want these lashes going anywhere! I wasn't really sure what to expect. I've seen some overdone lash extensions but I was so pleasantly surprised to see how natural my lashes came out. They even have a natural curl to them and my lashes are notoriously sparse and straight. She informed me to wait about 24-48 hours before getting water on them in order to let the lash adhesive properly set and she also provided me with a nifty after care sheet. Next time we might try some shorter extensions to make them fuller. By the way, she also trains students on how to apply lash extensions in case you're interested! I look forward to updating you on how they wore in about 2-3 weeks when it'll be time to go back for a refill. But so far so good! I think the before and after speaks for itself. Hope this review was helpful. Till next time, Ciao Bellas!